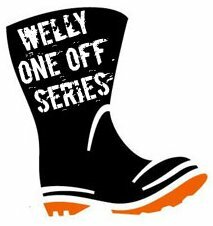 GUELPH, ON – Wellington Brewery will be continuing its Welly One Off Series of cask-conditioned beers with a new limited edition Wellington IPA in March, and a very unique flavoured beer for April. This 5.5% beer has a dark amber hue and a strong floral nose. Once tasted, Wellington IPA coats the mouth with the body of an English Pale Ale and captivates the taste buds with a hoppiness that is intense without being overbearing. Our offering supplies a sweet citrus sensation up front buoyed by a balanced bittering background that is slow to subside. The Open House event will feature both the IPA and Wellington Russian Imperial Stout being served on cask, and a limited run of 400 cans (473 ml) of the IPA will be for sale in the brewery retail store. More information on the event can be found on the Wellington website. In April, the Welly One Off will be an experimental cask ale brewed using chaga mushrooms and chamomile. This beer will be served at The Cornerstone (1 Wyndham St. N., Guelph) on Thursday April 14th from 8:00 to 10:00 PM as part of Kazoo!, a five-day arts and music festival in Guelph that is sponsored by Wellington.